A2 Why Didn't You Stop Me? -'Be The Cowboy’ LP on limited edition “Coke Bottle Green” vinyl in a gatefold jacket, packaged with 27” x 39” poster. 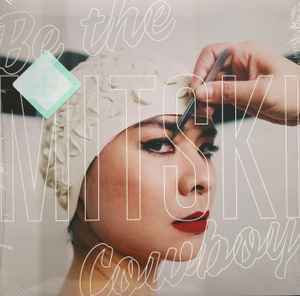 -One 100% silk handkerchief, randomly selected from 2 limited edition Mitski designs. 100 copies sold by Newbury Comics came with signed poster and Polaroids. Version with only non-signed poster sold by other independent record stores. Very quiet from what I can tell, sounds great. I've had Dead Ocean variants that were kinda hit or miss, this one sounds great for sure. Highly recommended. Perfect, dead-quiet, flat pressing. This record will never sound better than it does right here.